I am a Pantene fan. Wow! Yes, I am a Pantene fan but I remain in denial as I have snubbed Pantene for many years. Pantene was the brand for other women, the go to brand for people with straight hair. I now know better. Pantene 3 Minute Miracle Colour Protect Conditioner is a “treatment in a daily conditioner”, formulated for coloured and damaged hair. According to Pantene, this conditioner is the key to visibly healthier, shinier and stronger hair. 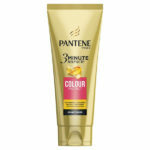 Purchased from Superdrug (£3.99 reduced to £1.99 for 200ml), Pantene 3 Minute Miracle Colour Protect Conditioner is brilliant! A fragrance aficionado, I appreciate both fragrance-free and lovely scented products. 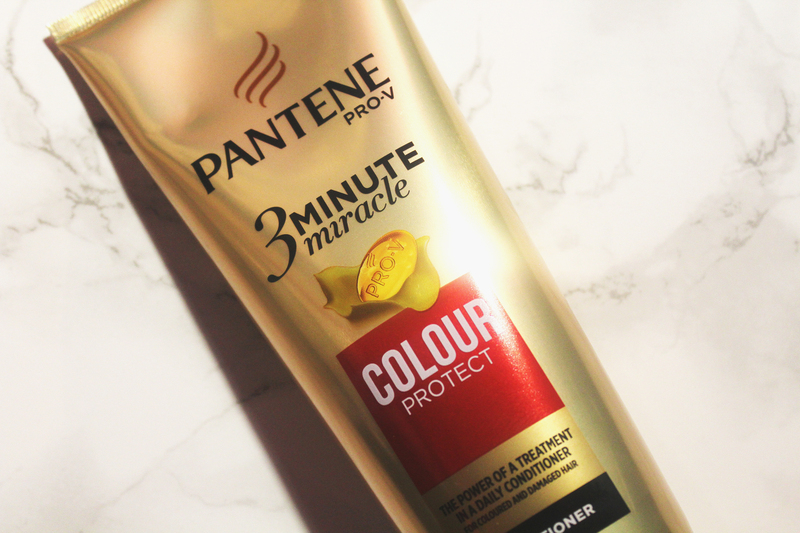 Pantene 3 Minute Miracle Colour Protect Conditioner smells wonderful; the scent is sweet and pleasant. This is no surprise, as Pantene products tend to smell great. 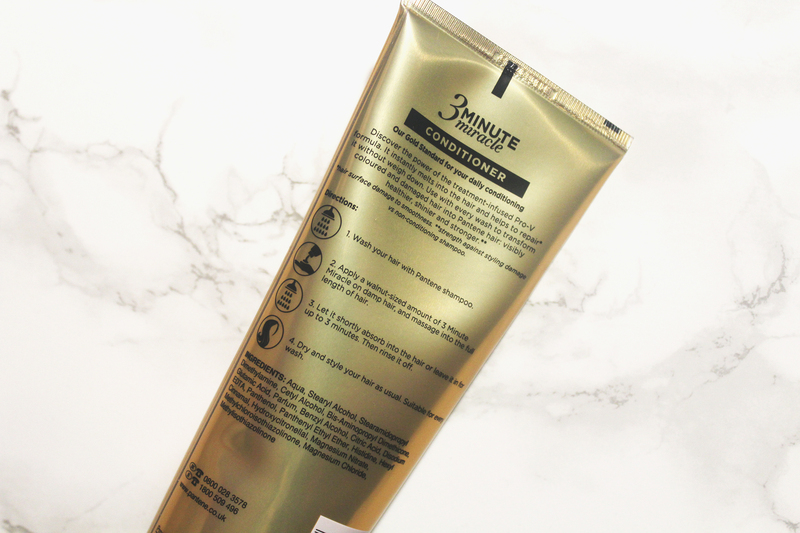 Pantene 3 Minute Miracle Colour Protect Conditioner is quite thick in consistency; it’s similar to a balm or a deep conditioner. I usually avoid heavy conditioners but the formula of Pantene 3 Minute Miracle Colour Protect Conditioner appears to be a little different. It is very pliable; I like it. 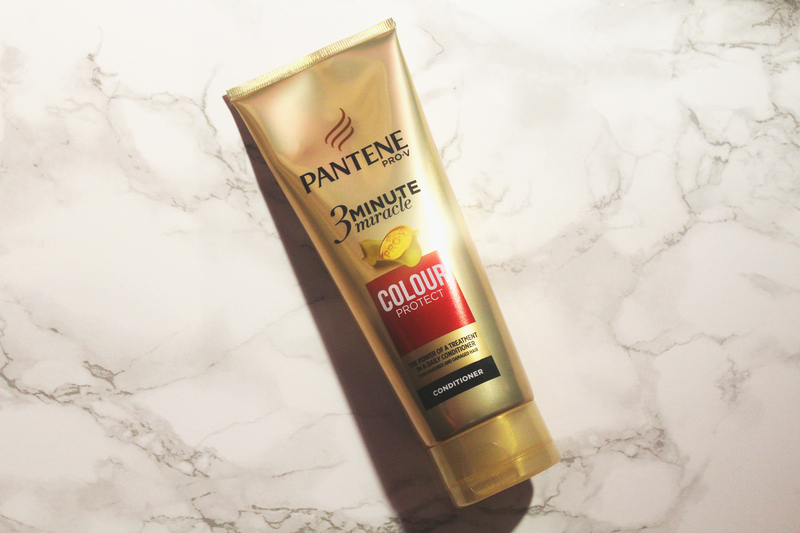 Pantene 3 Minute Miracle Colour Protect Conditioner effortlessly melted into my curls; this made detangling a breeze! I found Pantene 3 Minute Miracle Colour Protect Conditioner works best when applied to damp or wet hair; a little goes a long way. Unfortunately, Pantene 3 Minute Miracle Colour Protect Conditioner did nothing for my curl definition or frizz. However, it did leave my coloured hair incredibly soft, moisturised and vibrant. I am impressed and I can only recommend Pantene 3 Minute Miracle Colour Protect Conditioner.